YOUR FINANCES ON YOUR TERMS, LETS GET STARTED! Call Lee Olague or Victor Santiago for immediate assistance! If your car loan interest rate is above 6%, your best option is to consider refinancing. Even if your auto loan is reduced by 2% you could save hundreds even thousands on your current auto loan! Interest rates have dropped significantly since you purchased your vehicle. If your credit has improved, even if you have a few negatives on your credit report, or had no history of credit when the vehicle was originally purchased (but credit is healthier now) you may qualify for several months of on-time payments to entice a lender to refinance the loan at a much lower interest rate. It’s important to act now before your payments fall behind. The sooner you open communication with our refinance department, the better the chance you have to coming to an arrangement and start saving money every month. 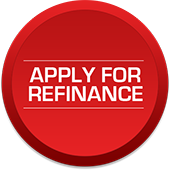 Click the “Refinance Now” button below to Apply or Call Lee Olague or Victor Santiago at 760-796-3917. End of LEASE Options. Save Money, and start breathing again! Is your lease expiring soon? Would you like to purchase the vehicle? Typically you have the option to, at any point purchase the vehicle without waiting for the lease terms to expire. We offer zero money down 100% financing OAC even if you are over your contract miles. We handle all DMV documents and payout current lien holders. Toyota Escondido is your headquarters for all your refinancing needs and lease BuyOuts. Speak to one of our Refinance and Lease BuyOut experts for more details today Lee Olague or Victor Santiago at 760-796-3917.